Steam locomotive 'Royal George', October 1827. Drawing. Rebuilt by T Hackworth at Shildon Works. 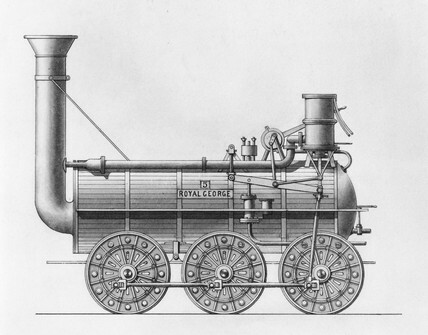 Royal George was an early locomotive engine of the Stockton and Darlington Railway Company.